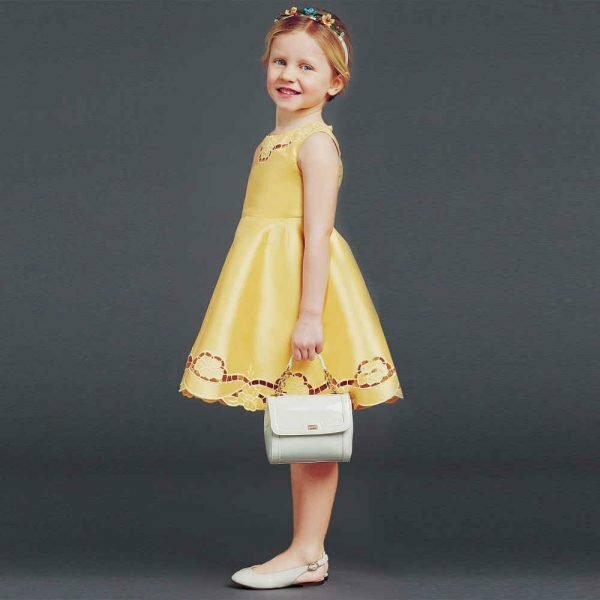 Love this Dolce & Gabbana DOLCE & GABBANA Baby Girls La Vie en Rose Dress Set. Inspired by the D&G Women’s Roseto Fall Winter 2018 Collection. This beautiful and comfortable Mini-me baby girls dress and knickers set from Dolce & Gabbana is made luxuriously soft and stretchy Milano jersey. Inspired by the adult collection, with a print of rose and peony blooms in different shades of pink, purple and ivory. The dress is fully lined in soft cotton jersey. Complete the look with a pair of matching DOLCE & GABBANA Baby Girls Rose & Peony Shoes. Also comes in a big girl size for little fashionistas who want to match baby sister and mommy. Also, love this D&G Baby Boy’s Black Tuxedo that’s perfect for any special occasion. Unfortunately, this DOLCE & GABBANA Baby Girls Mini-Me La Vie en Rose Dress Set is not currently available. 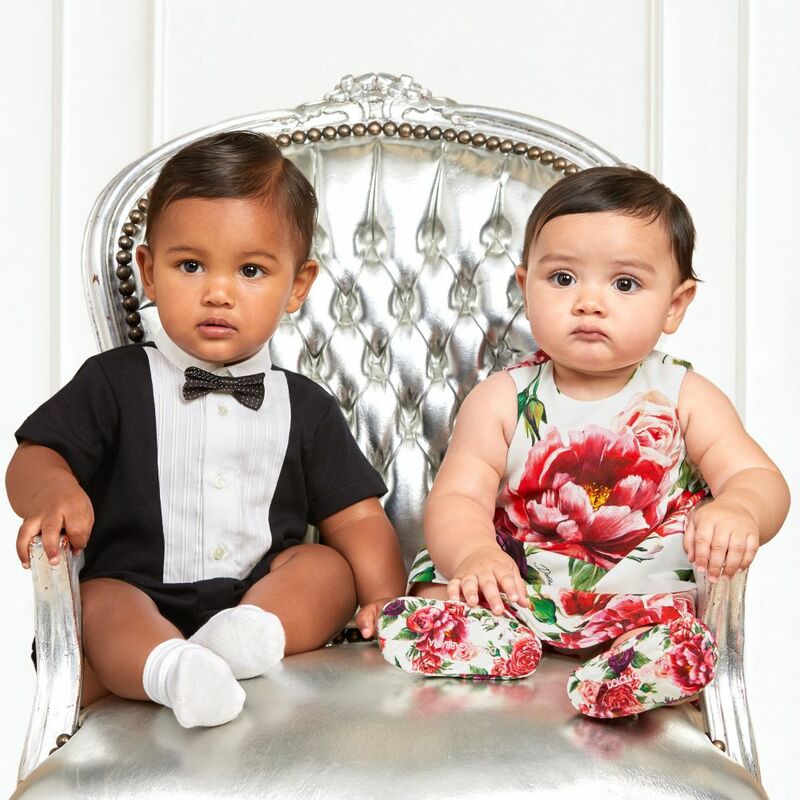 You can shop similar DOLCE & GABBANA Baby outfits from the current collection online.